A rat in the bathroom! Are you tired of reading news articles about how bad everything has gotten? 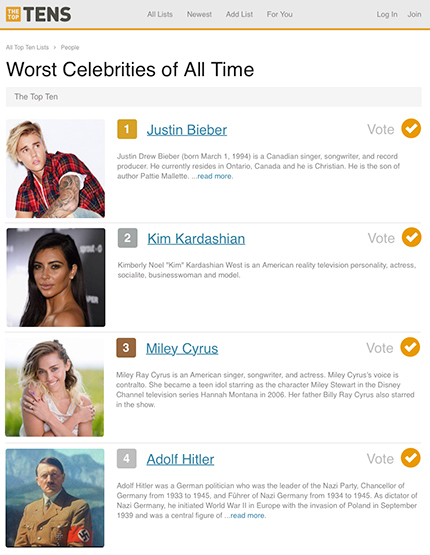 Here's a terrible top 10 list instead, just to switch it up! I recently discovered this "Worst Celebrities of All Time" list, created by popular vote on TheTopTens.com.